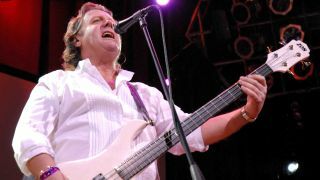 John Wetton, singer and bassist in King Crimson, Uriah Heep, Roxy Music and supergroup Asia, has died aged 67. Wetton had been battling colon cancer, and according to a statement from Asia, passed away in his sleep on Tuesday morning. “His bass playing was revolutionary. His voice was from the gods. His compositions - out of this world. His sense of melody and harmony - unreal. He was literally a 'special one'. Several music stars have shared tributes to the bassist on social media - we’ve posted a selection below.